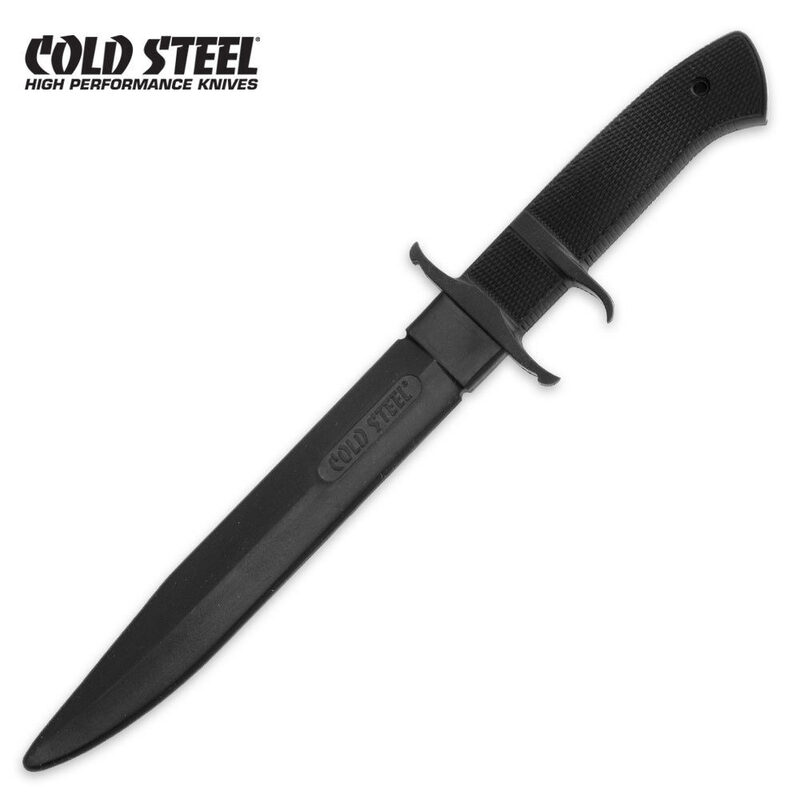 I bought two of these along with my SOG throwing knives (you should read my review on those too), and I got to try them out with my brother outside today. First of all, they aren't as rubbery as I expected. It's similar to Cold Steel's polypropylene stuff. They're also a lot stiffer than I expected (a good thing, in my opinion). Anyway, they stood up quite well with no damage, and it did not hurt to be hit or "stabbed" with it aside from getting hit in more sensitive areas. I highly recommend these for those who want to practice knife fighting moves and techniques, as well as to those who want to learn knife tricks safely.